What are The 63 Most Frequently Asked Questions About Email Marketing Today? The Money is in the Email List – What does this actually mean? You’ve heard experts on various Internet marketing blogs and forums say that money is in the list.’ What does it mean? It means that it is possible to make cash from that email list you’ve created. Some marketers claim that 80% of their earnings come from sales generated from email marketing. Regardless of the business, you run, a list of dedicated subscribers is the most important asset you can have. It can be anything ranging from blog subscribers, Twitter followers, Facebook friends or newsletter readers and more. Why do you need a list? The two significant benefits of having a group of dedicated subscribers include improved relationship and better communication. When building a relationship, you find followers who have some interest in you then build trust with them before directing them into your sales funnel. You treat them as your close friends. Alongside making them feel great, you also give them something of value. By doing so, you establish a strong relationship with them. They’ll see you as a trusted and reliable resource. The best way to stay close to your subscribers is to communicate with them often. Sending them a branded message on a regular basis can make them feel much appreciated. Give them something exciting and make them not feel like you’re intruding into their inboxes and personal lives. When you take too long to contact them, like taking a whole month or more, they can forget you altogether. When it comes to writing your content, put yourself into the shoes of your readers and think of what can make you open a message from your sender. Is it something valuable, promotional, funny or useful? • You have full access since you are the real owner. You control everything including how you want to communicate with the members of your group. • It is permission-based. It means those who sign up have given you full permission to talk to them. • It is a proactive form of communication. The people you’re communicating with are qualified and more likely to pay your full attention. • You can use it to drive engagement to other channels and blogs. Building a credible group of targeted subscribers is a long-term project. It isn’t something that you can create in a day. Even those with the most coveted group of subscribers didn’t build them in a day. There are stages that you pass. The things to consider may include finding a niche, convincing people to sign up, creating a great squeeze page, writing great emails, driving people to your squeeze page, and setting up an autoresponder series. Do you have a product or service in mind you’re interested in? If yes, then choose a target market. Pick a niche that has several offers to choose from. The target audience can be students, gamers, adults, male or female. Picking a niche that you are knowledgeable about can be an added advantage. Place yourself as an expert in the eyes of your target audience. Why people opt to sign up for your offers, content or promotion is a question you should give a great deal of thought. Think of what can prompt your audience to get interested in signing up for what you provide. People want good incentives. The better quality you give them, the more willing they’ll be to sign up. There are several approaches you can consider. Make your titles stand out unique. Include an eBook design and make it look real and valuable. Social proof is vital and if you have several subscribers already, consider adding it in your copy. After all, everyone else is, then why not me?’ is what subscribers think. Additionally, you can consider writing a newsletter full of discounts, information or detailing a cause. There are several ideas to include keep your audience in mind and be as creative as possible. People will only sign up if you promise to solve their problems, motivate, inform and inspire them. Other possible ideas that can help you convince people to join your group is by giving them VIP treatment, segmenting your groups, giving them value, positioning yourself as an expert, and emailing them regularly and more. A squeeze page is a landing page that is specially designed to collect user email addresses and names among other details. A squeeze page can be a landing page though landing pages may not be squeeze pages. What makes a squeeze page very useful is that they are short, clear and crispy and feature a single CTA. The headline of your squeeze page should clearly define and describe the benefits your users will achieve. An offer could be something tangible and achievable. The CTA should deliver something prompt like et Instant Access’ or something related. A lead magnet is another requirement for a high-converting squeeze page. A lead magnet, also called opt-in bribe is a freebie offer that you give to your audience in exchange for their email addresses. It is possible to create quality lead magnet without breaking your bank account. You can select a DIY project, how-to guide, and resource list on how to accomplish something then package it as a PDF. Regardless of what you choose, your lead magnet should make sense to your business and audience. Ask them for engagement. Upon setting up your squeeze page, the next step is to draft your message. The emails you write should be full of information and offers. Although it can be hard to write a perfect letter, it is good to start by writing a draft then make adjustments later. Choose three different offers in your category that have a high conversion rate. The tone that you use, message clarity and use of proper subject lines are all paramount. The subject summarizes your message and grabs the attention of your readers. A blank subject line can be quickly rejected, overlooked or treated as spam. Readers should understand your headlines without necessarily reading the entire message. Plain texts are great and have a higher conversion. Besides, they tend to be more personable and consumes less time to prepare. 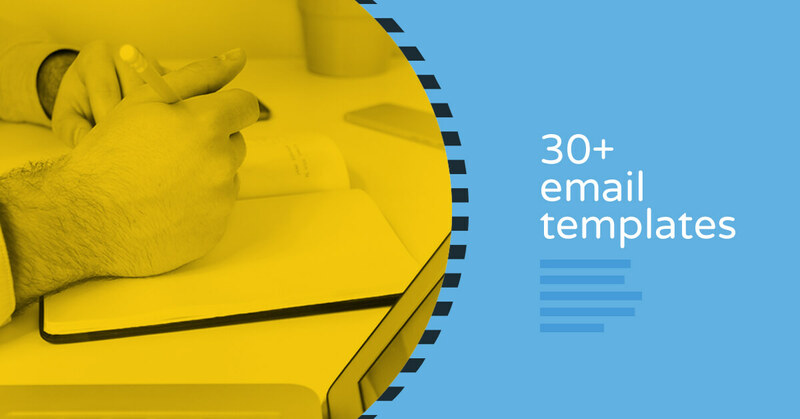 The number of days you take before sending another email is vital. Sending more than one per day can make you overwhelm your subscribers with messages, and you risk being marked spam. To make sales, you need traffic in your squeeze page. The best sources of traffic include newsgroups, niche social networks, forums, Google+ and forums. Look for forums that are relevant to your niche and link them to your posts. Do a Google search to find forums that are related to your niche. Extend your social profile and URL across various social networks to garner traffic. In case you already have traffic, you can create a subscriber group based on the niche of the websites. When you have a vast subscriber group, you can employ ad swaps with those that have related groups to seize more attention. This is content that is delivered to your subscribers every time they sign up and join your group. It follows a particular predetermined sequence and dates. The importance of setting up an autoresponder series is to enhance your relationship with every new client. An autoresponder is entirely content-based and tends to have low key offers. However, it can be promotional or act like warm up for new clients. Moreover, if you have a blog, you can utilize your autoresponder to welcome them and direct them to your posts. How then can you make money from that list? It is the easiest way you can make money quickly. Whether it is eBooks, how-to articles, training guides, online courses, or any other informational product, you can generate sales from the people in your target group. If you are skilled in writing something, sit down and write something related to the niche you’re interested in. People are hungry for knowledge. They’ll be willing to shell out their cash to gain information about a particular subject or topic. The content you write ought to be valuable and solve their puzzles. Give them some easy and quick solutions. You can be an affiliate for other companies that operate their business in niches related to the one you’re interested in. Thousands of companies are willing to pay commission for any sale you make on their behalf. The products you market should match the needs of your audience. After finding an advertiser that you want to promote their products, you can sign up for their affiliate program via their network. They’ll give you hyperlinks to help track the sales you generate. Write a sales marketing message then send it to your target clients. The size of your target group, the relevance of product or service to the people you target and the effectiveness of the copies you write determine the amount of money you can make from your program. By being an affiliate, there are various practices to consider. Try to be transparent in all your promotions. Your promotion is like an endorsement. If you dislike a product, then don’t recommend it to someone else. Over-promoting a product is another bad practice. If there is a bonus, consider including it. Subscribers will enjoy it whenever they sign up. Further, you can consider getting products from other sites on a consignment basis then sell them to the people in your group through newsletters. The best way to do so is by placing descriptions and attractive pictures of the products. If your audience trusts you, they’ll go ahead and buy it from you. It is possible to create a six-figure salary from starting a membership site. Membership sites are very profitable. You can start one for free if you use WordPress. Although members don’t pay anything to join, you can make a whole lot of cash. If a customer becomes a member, you’ll be providing them with a service or new information on a daily, weekly or monthly basis. This helps to create respect and loyalty. Additionally, since most membership sites don’t charge you anything, you get full profits. There are also lots of guaranteed free traffic. Several companies are actively looking for new customers day and night. They do everything including paid for ads to reach out to new customers for their products and services. In case your mailing group contains thousands of potential customers interested in a certain niche, then this can be a great opportunity to mint cash. You can contact such companies and arrange to put their ads in the messages you send to your recipients. By doing this, you can earn something for the advertisement you’ve made. Remember you’re helping them to make sales. However, you need to convince them that the group you have is quite profitable. They might be interested to run their promotional campaigns. The people who’re already in your group can be very resourceful. Let them invite others to view your website and even join. This can help broaden your group and even improve the clicks on your links and affiliate sales. Additionally, your advertisement rates heighten when you have a strong group of devoted followers. For you to convince them, you might need to entice them with something. It could be a free eBook or something related. If people rely and trust what you offer them, they will be willing to pay for the information you provide. When you get more and more loyal people, you increase your limits and amount you can make. It means you’ll be promoting more products and making more cash. Now, can you make something out of the people in your group? The quickest answer is yes provided they trust you, read your messages, and you write strong and compelling content. The above is a comprehensive guide on the importance of having a group of dedicated members, how to create one and various ways on how you can mint cash. why do the most successful companies in the world still use email marketing? What is Email Marketing and How Does It Really Work? What do I Actually have to Write to my Email Subscribers? How to Create An Effective Email Newsletter For My Business? What are The Top 37 Do’s And Don’ts of Email Marketing Today?